These easy corn fritters have a crispy crust and a soft middle. 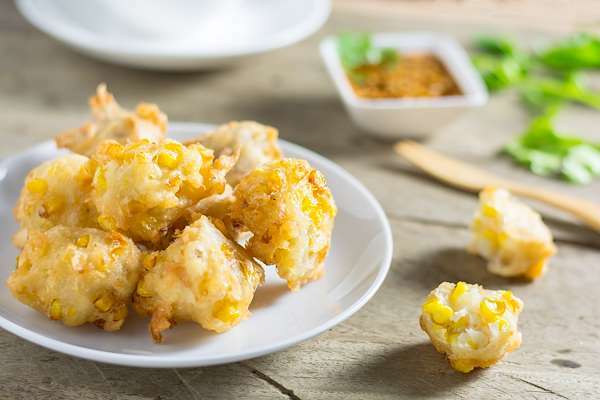 The corn is combined with all purpose flour, eggs and seasoning to make these fabulous fritters an irresistible appetizer recipe. Savory, slightly seasoned, these are perfect with a heart bowl of soup or roast pork loin for fast weekend meals. RecipeSavants.com These easy corn fritters have a crispy crust and a soft middle. 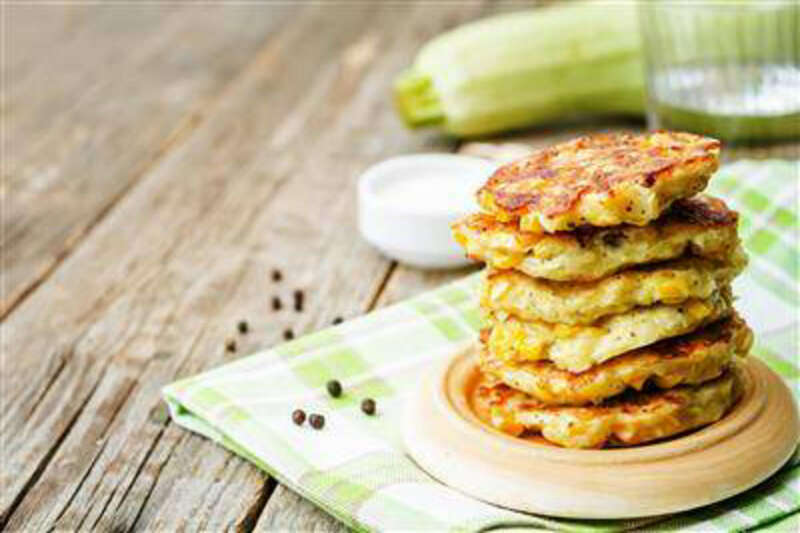 The corn is combined with all purpose flour, eggs and seasoning to make these fabulous fritters an irresistible appetizer recipe. Savory, slightly seasoned, these are perfect with a heart bowl of soup or roast pork loin for fast weekend meals. Smart Recipes, American Recipes, Vegetables Recipes, Recipes Vegetables American Corn Fritters PT20M Serves 6 Ingredients: 3 Egg Yolks 1.66 Cups Whole Grain Corn 0.5 Teaspoon Salt 0.125 Teaspoon Ground Black Pepper 0.25 Cup All-Purpose Flour 3 Egg Whites 6 Tablespoons Vegetable Oil In a small bowl, add egg whites and beat until stiff peaks form. In another large bowl, add egg yolks and beat until light. Add corn, flour, salt and black pepper and mix until well combined. Fold in whipped egg whites. In a cast-iron skillet, heat oil. Place spoonfuls of flour mixture and cook until browned on both sides. If you enjoyed this easy corn recipe, you'll love these fresh ideas! Let’s admit, there’s nothing like chili-spiked, buttery and grilled corn on the cob just fresh off the grill. This side dish couldn’t be any easier to prepare; just drizzle the corn with butter and they’re ready to go into the grill. 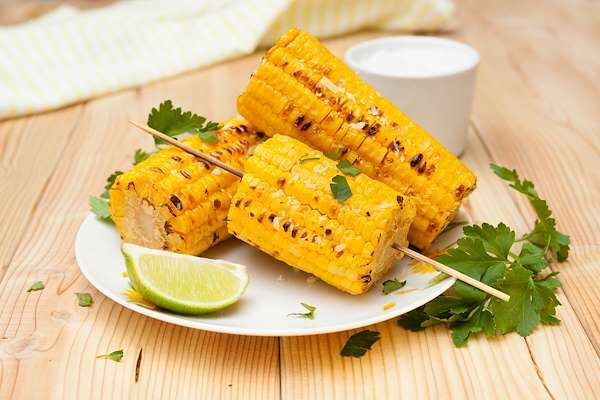 Corn on the cob is a perennial favorite for backyard barbecues, and this tasty dish pays tribute to it. 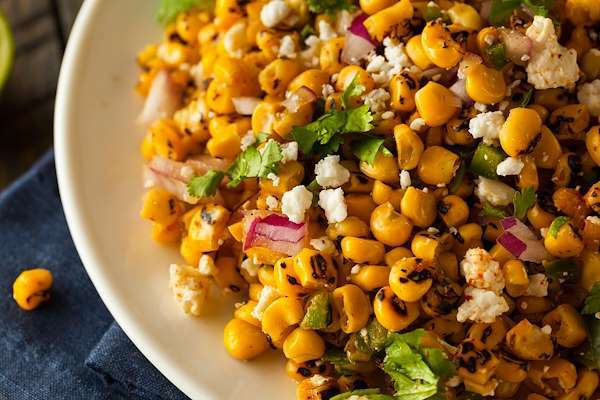 Imagine plump, smoky kernels of grilled corn, cut fresh from the cob, mixed with a flavorful blend of diced veggies and savory spices! Top it with a yummy fresh dressing made with lime juice, olive oil, spices, and a kiss of honey.